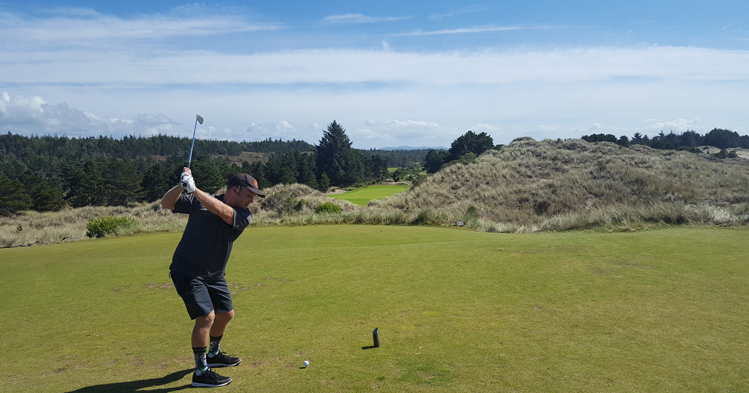 Bandon Trails Hole 1: The first golf hole is actually not a taste of things to come as it and the 18th are the only two pure dunes holes on the course that are not par threes. This one requires an accurate drive, but it is not too long or difficult once the fairway is hit. 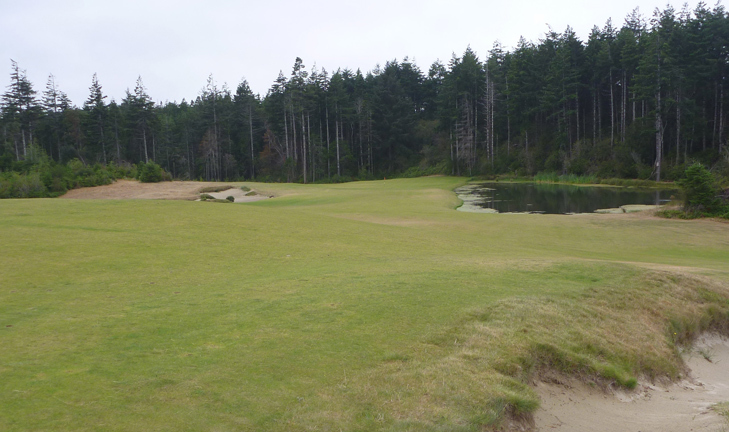 Bandon Trails Hole 2: Playing downhill, this par three features a green visually set between two dunes. However, the only real dune in play is the massive one to the right, which must be avoided at all costs. Shots hit short and left with a fade can run up onto the green. 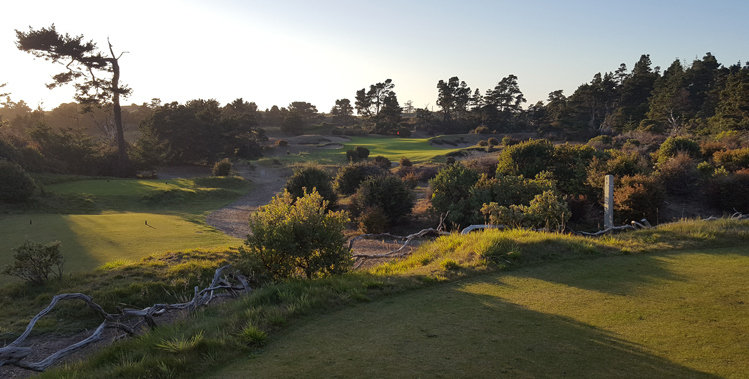 Bandon Trails Hole 3: The first golf hole in the trees is stunning from the tee box as the bunkers built by Coore and Crenshaw seem to perfectly flow and fit into the contours of this slight dogleg left par five. The hole itself is not too difficult and the green is relatively easy to hit and putt, but beware going long on a back pin. Bandon Trails Hole 5: This very short par 3 has obvious trouble to clear from the tee, but the green itself is huge but has three distinct levels making each pin placement target smaller, and any miss to another section of the green very difficult to negotiate and missing right of the green or long is real bad trouble. 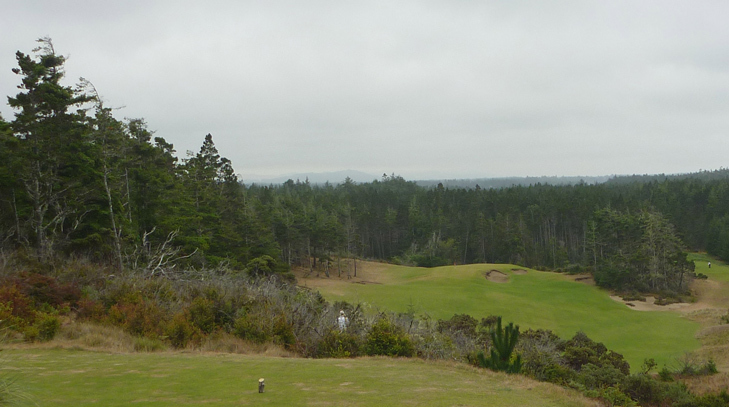 Bandon Trails Hole 6: This par four plays uphill from the tee box with a pot bunker visible at the top of the hill. There is room left and less room right of it, but after it, the hole plays back downhill to a green with bunkers both to the left side and behind. The contours will allow for run-up or shot to bounce in from the right. 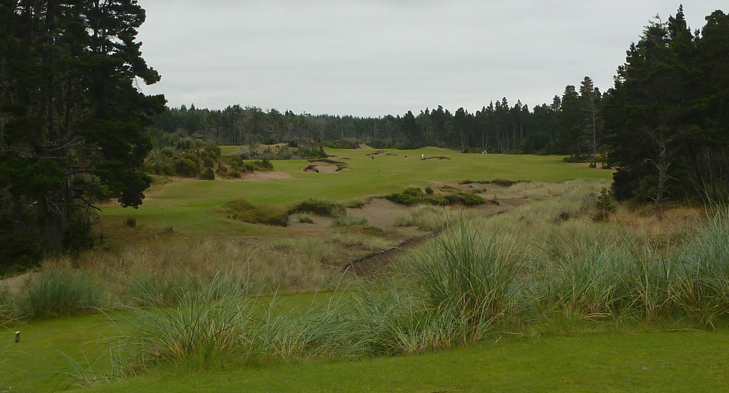 Bandon Trails Hole 7: This par four is long but has a relatively generous landing area for the drive. The second shot is much more difficult as it is sufficiently uphill with some strategic bunkers in play to cause problems. 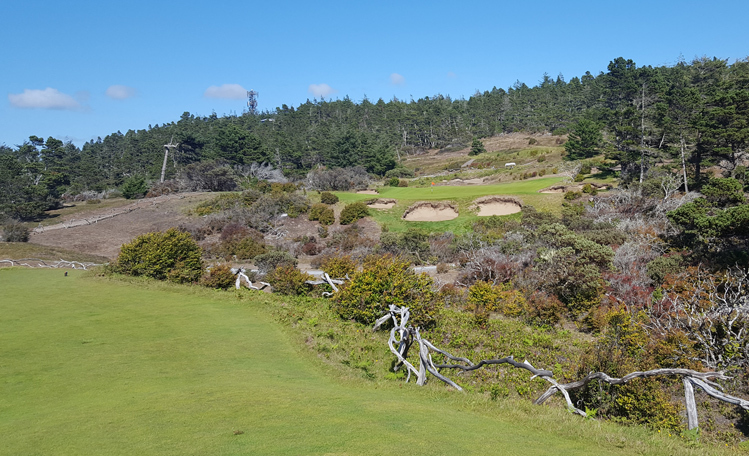 Bandon Trails Hole 9: This par five has bunkers off the tee that must be missed. 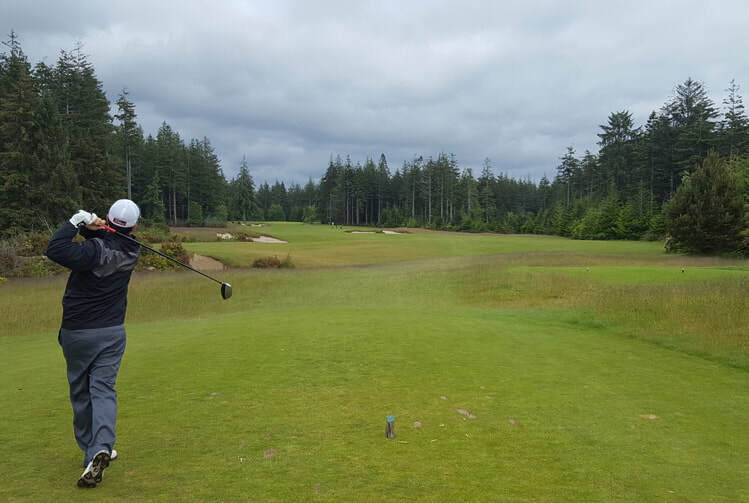 Left of them is easiest but that brings the massive pine left of the fairway very much in play for the second shot. There are trees on either side of the approach as well as bunkers, so hitting straight is very much needed here. 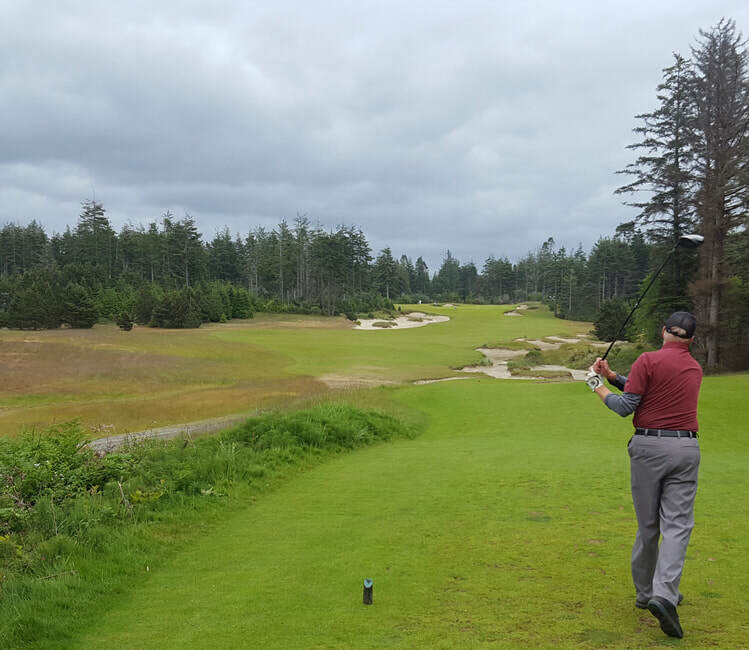 Bandon Trails Hole 11: The best par four on the back nine is long and features a drive that should hug the huge bunker on the right but definitely avoid it. The approach is slightly downhill to a green sloping left to right towards the water. Thus, shots coming from the left will need to stay left and hit soft. Bandon Trails Hole 13: The drive on this hole is mostly straight forward but a big drive to the right can find the player blocked by trees or, worse, in them. The second shot is devilish as the obvious hazard is the very deep bunker to the right, but there is also a false front as well as a steep slope left of the green that will send shots way back down the hill. since the green is narrow, missing it to either side represents not only a tough up and down, but a possible multiple chipping or long putting effort if the player is not on their game. 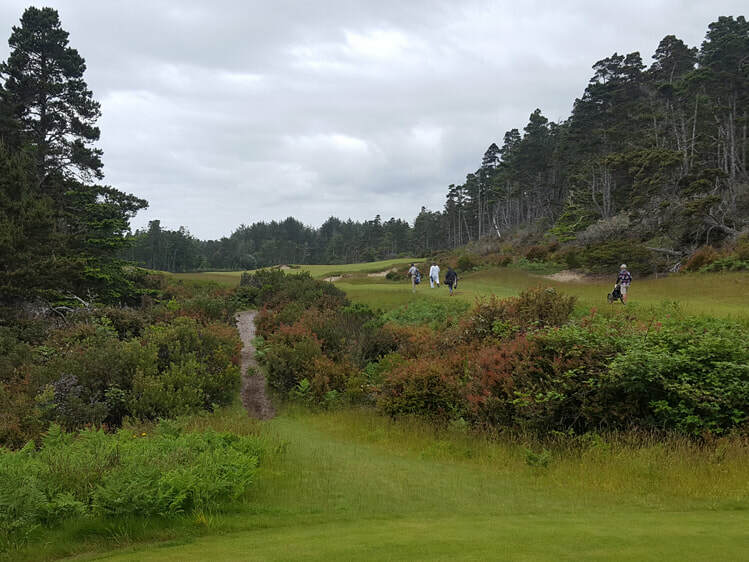 Bandon Trails Hole 14: The most controversial golf hole at the Bandon property is this short par four. 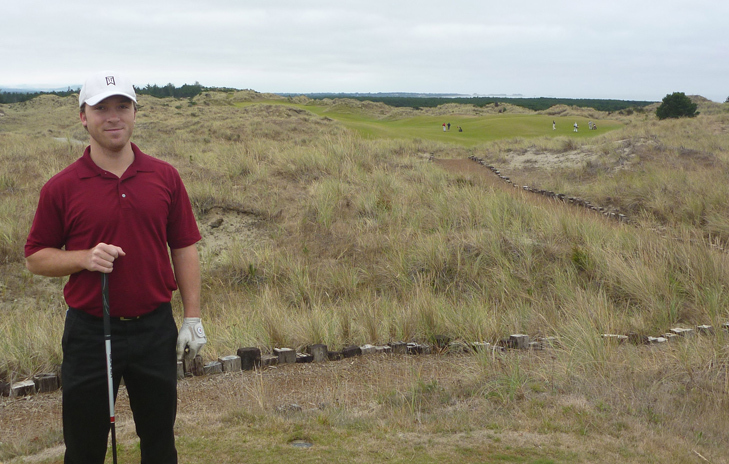 From the elevated tees, the views are great and the fairway is very wide. However, the green has a huge bunker right that makes any shot coming from the right side of the fairway very difficult as the green is only 10 paces wide. Thus, the player must stay left of center or go for the green from the tee and hope for the best as most shots missed left or right could result in a back and forth scenario that can generate really high scores. Bandon Trails Hole 15: The one thing that drops this course a bit below the others in my esteem (although it is still a great course, and, frankly, a fun departure from the other courses on site) is that it has more ho-hum holes that are somewhat repetitive. This hole, along with the 4th and 6th holes, are three relatively similar par fours in length, style, and feel, with this one being the only one I've featured (for no particular reason). Bandon Trails Hole 17: This pretty par three bridges the gap between the forest left behind and the dunes ahead for the finish. It has sand traps and a pretty heavily sloped putting surface as well to deal with as well.